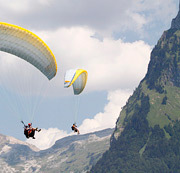 Samoëns is ideal for paragliding and benefits from 2 take-off points (Les Saix & La Bourgeoise), each at an elevation of 900-1000m above Samoëns. 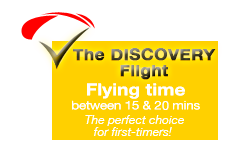 Accompanied by your nationally accredited instructor, discover the pure joy of human flight in an environment of exceptional beauty – the views will leave you speechless ! After 15 to 90 minutes (depending on your choice of flight) in the skies of Samoëns, the landing is a mere formality – you’ll touch smoothly back down onto the planet… Lost for words to explain the joy you feel and with a big smile on your face. You’ll find the biggest risk in paragliding is that you’ll love it, and will want to do it again, or learn to fly yourself ! You don’t need to hang on to anything in-flight, so your hands will be free to take pictures and videos if you like. We just kindly ask that you and your camera are firmly attached by means of a strap to prevent it from falling. 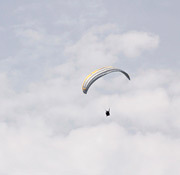 In our experience however, your efforts to try and take photos while flying can detract from the overall experience. Trust us ! We ourselves have photographic experience and specialist equipment designed to take quality aerial images, and can happily provide you with a take-home video and photos of this unforgettable experience. 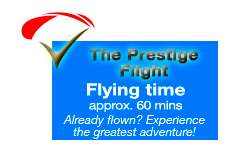 No matter your choice of flight, and depending on wind conditions, we’ll give you the chance to fly the wing yourself and make your very own first turns (no obligation of course). 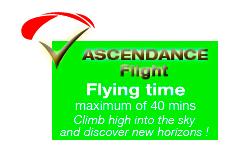 And for the thrill-seekers, your pilot will happily perform a few aerobatic tricks !